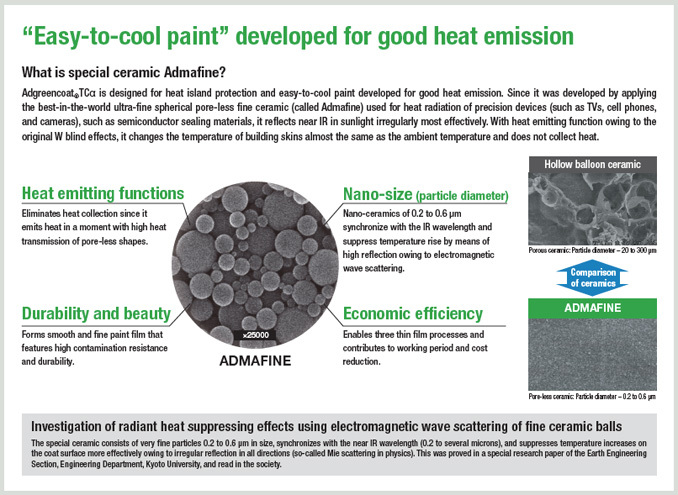 Adgreencoat protects your building by reflecting and exhausting the thermal radiation from sunlight, thus, the inside room temperature will not increase. This will result in a better environment for you and your family to live and work inside the building. 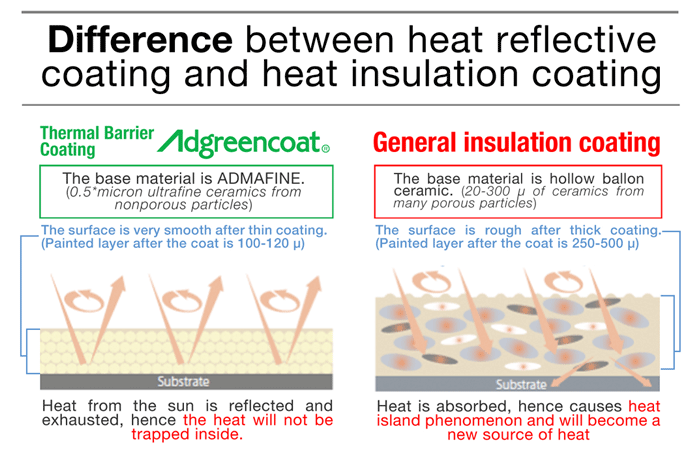 With Adgreencoat , you can reduce the usage of air conditioning. Study says for every 1C , we can save 9% of the total electricity consumed for the AC. This might sound dramatically said, but with less usage of Air conditioner, we can reduce the released CO2, thus resulting in preventing Global Warming. Let's save our future generation. 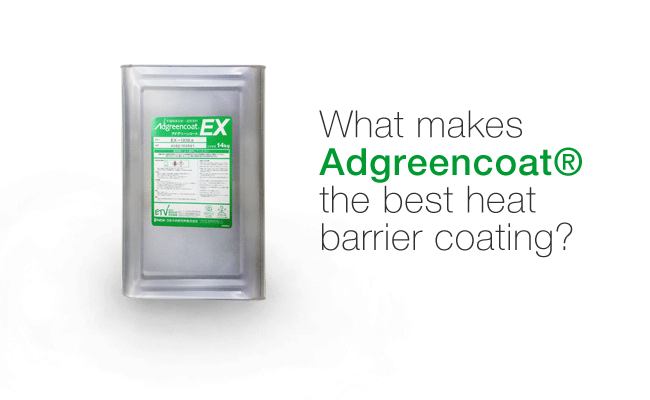 Adgreencoat use a non toxic substance, so you can rest assure that it will have no harm to you and your loved ones. 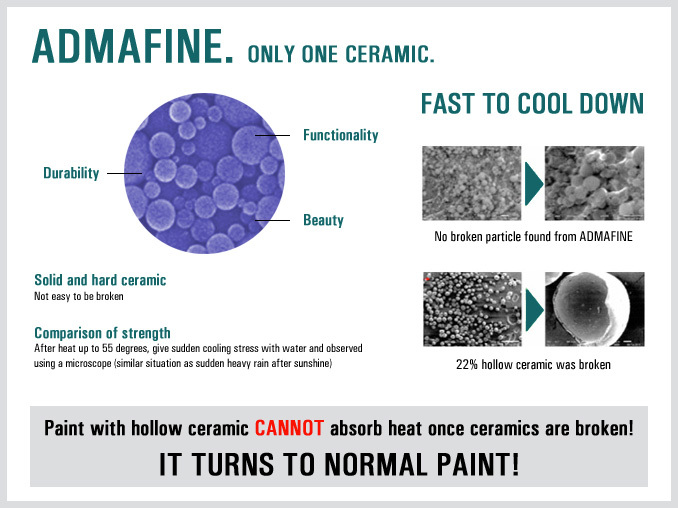 Because Adgreencoat uses Non-Hollow (Solid) ceramics called ADMAFINE®, it will not break easily. You don't want your investment to be gone in just after 1 or 2 years , do you ?